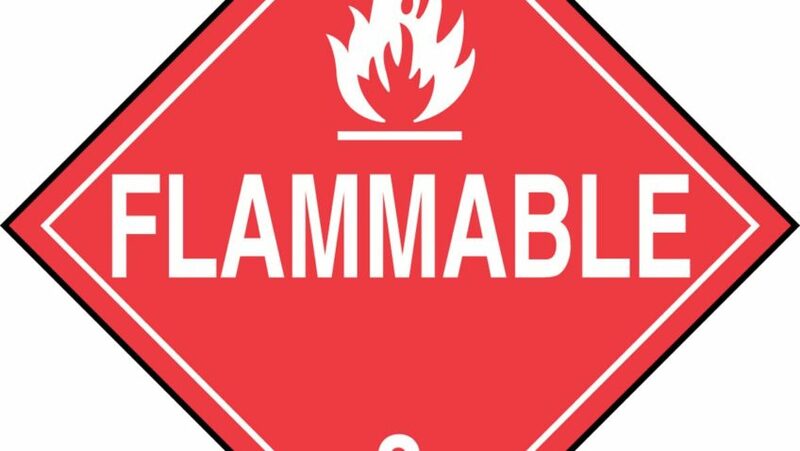 Last Friday the International Electrotechnical Commission (IEC) voted against increasing the charge limits on flammable hydrocarbon refrigerants such as propane (R-290) and isobutene (R-600a). The proposed changes aimed at increasing the global standard charge limit to five-hundred grams. Today, the International Standard known as IEC 60335-2-89 limits hydrocarbon A3 refrigerants at a charge of one-hundred and fifty. In order for it to pass the amendment needed a three quarters approval. It failed by one vote. The International Electrotechnical Commission is an international standards organization that reviews, prepares, and publishes worldwide standards for electrical and other technologies. The group is made of nearly twenty-thousand experts from various industries. Their goal is to provide the companies, governments, and industries standards to follow when working with specific equipment. You can read more about them by clicking here. Over the past decade or so there has been a large push to get back to the basics when it comes to refrigerants. Hydrocarbons were one of the very first refrigerants used way back in the 1800s. Back then, they were used because they were naturally found within the environment, were easily accessible, and performed efficiently. The problem with them back then, and in today’s world, is that they are highly flammable. Their flammability posed a potential risk and as soon as CFCs and HCFCs were synthesized we began to see a decline in hydrocarbon usage. The push for hydrocarbons today comes from them being so environmentally friendly. Hydrocarbons have no Ozone Depletion Potential and they have very low, sometimes non-existent, Global Warming Potential. In order to use these climate friendly refrigerants while being conscious of their flammability many governments and organizations have imposed charge limits. By limiting the charge the risk of explosion is much lessened. As a global standard IEC had a maximum charge of one-hundred and fifty grams as we mentioned above. Other governments have their own specific regulations, but they more or less follow the standard which is one-hundred and fifty grams. Here in the United States we were a bit behind the times. Up until a few years ago the maximum charge allowed by the EPA was fifty-seven grams. Most applications today have been approved by the EPA’s SNAP up to one-hundred and fifty grams. But, this was a recent development and you will still certain applications only allowing up to fifty-seven grams. The hope from Friday’s decision was that the IEC would rule in favor of the five-hundred gram charge. This ruling would then inspire other governments and regulatory agencies to move forward with higher charged systems. It would be a cumulative effect across the world that would allow us to see hydrocarbons used in larger applications. IEC’s ruling is disappointing to many. All is not lost though. The amendment will go back to a sub-committee where they will revisit the issue. They may end up making revisions so that it is not as such an aggressive change. In the meantime, we may see other countries move forward with their own increase in charge. It is a delicate decision. Yes, there is a lot of pressure on having climate friendly refrigerants, but that doesn’t mean we should dive into flammable refrigerants. 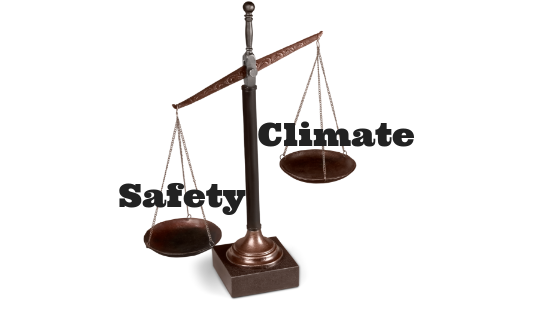 There has to be a balance between safety and climate. This balance may mean we need steer more towards less flammable refrigerants such as HFOs. Hydrocarbons will always have their place in their world but their growth into newer applications will be limited this latest ruling. This story broke from Hydrocarbons21.com. In the very beginning of refrigerants and air conditioning there were a select few refrigerants used. These refrigerants occurred naturally within our environment and were known as natural refrigerants. These included ammonia, carbon dioxide, water, and oxygen. Among these natural refrigerants under a subset category are what’s known as hydrocarbon refrigerants. Some examples of hydrocarbon refrigerants are propane, butane, ethyl, and isobutane. Manufacturers: Various Including: Honeywell, Chemours, Arkema, Mexichem, Chinese, etc. Manufacturing Facilities: All Over Including: USA, Mexico, EU, China, and others. Cylinder Sizes: 1 lb, 20 lb, 100 lb, 200 lb, 420 lb. Purchasing: CLICK FOR A QUOTE! 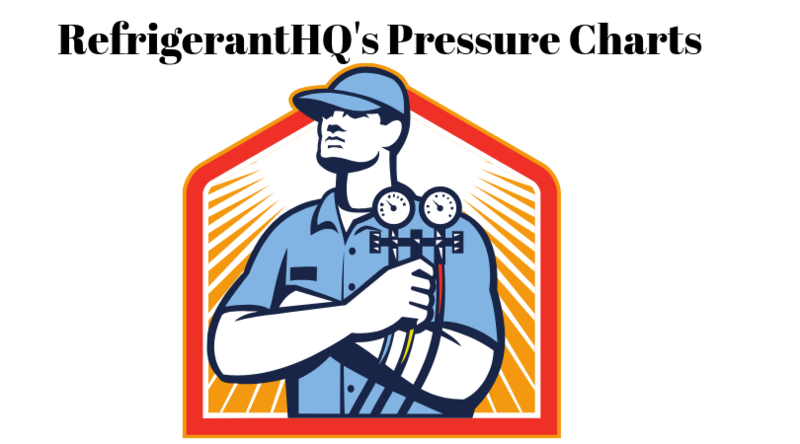 Just like with any other refrigerant there are always going to be pros and cons. I’ve said it countless times before, but there are no perfect refrigerants out there. Regardless of what you look at you will always have a downside. As an example of this I like to use Ammonia R-717. Ammonia is deemed as one of the absolute best refrigerants due to it’s energy efficiency. This is why you see ammonia applications in systems that require very large charges such as meat packing plants. These systems demand a lot of energy and by having the most efficient refrigerant out there these companies can save a lot of money. The downside of ammonia based systems is it’s safety rating. Ammonia is rated as slightly flammable and is rated as toxic if exposed in large enough quantities. It is this reason alone that ammonia has seen very limited use in more residential and commercial applications. Ok, so now that we have that in mind let’s take a look at some of the pros and cons that come with R-600a Isobutane refrigerant. Just like with other hydrocarbons and natural refrigerants, Isobutane has zero Ozone Depletion Potential, or ODP. When using R-600a there is no risk of damaging the Ozone layer. Sticking with the environmental side of things, R-600a also has a very low Global Warming Potential (GWP) when compared to other synthetic refrigerants such as R-134a or R-404A. Isobutane’s total GWP is 3. Moving to safety, R-600a is rated as an ‘A’ from ASHRAE. The A stands for non-toxic. While that is great news, please note that isobutane is heavier then air and if enough is leaked in a confined area it can displace the oxygen in the room which can cause asphyxiation. R-600a is a very efficient refrigerant with low discharge temperatures. It also operates at a low pressure level when compared to other refrigerants. Not only does this make for an overall quieter machine, but it also reduces chances of failures and extends the life of your compressor. Going along with the efficiency benefit, R-600a actually requires a smaller charge to complete the same job as other refrigerants. As an example, the required charge is forty-five percent less when compared to R-134a and sixty percent less when compared to R-12. Lastly, isobutane is relatively low cost when compared to the synthetic refrigerants we use today. Well, you may have guessed it by now, but the biggest drawback when it comes to R-600a is it’s flammability rating. Yes, just like other hydrocarbons, flammability is the biggest factor. R-600a is rated as a ‘3’ from ASHRAE. That three signifies a ‘higher flammability,’ rating. Because of this higher flammability risk with isobutane the amount of charges allowed by governments is quite limited. As an example, in the United States isobutane based systems can not have a charge greater then one-hundred and fifty grams. This was actually recently changed by the EPA. (UL standard 60335-2-24 – Source) Before that the old limit was just fifty-seven grams. This rule change applied to refrigerators and freezers as well as other approved applications we’ll get into further on into this article. Again, due to it’s flammability, R-600a is not suitable for use in retrofitting existing fluorocarbon based systems such as R-22, R-134a, or R-404A. These machines were not made to handle flammable refrigerants such as R-600a. Depending in the municipalities and governments on where you live you may find that hydrocarbon based systems are not allowed within certain types of buildings. These could be database centers, museums, or government buildings. This is to minimize risk of fire or explosion. Lastly, technicians must be well trained in order to properly use, handle, and maintenance hydrocarbon based systems. While this may not been seen as a con, it does require extra knowledge and cost to train. This limits the amount of people who can work on these types of systems. OK folks so we’ve got the facts and the pros and cons down. Now let’s take a look at some of the more intricate details of R-290. Isobutane belongs to the hydrocarbon refrigerant classification and it, along with propane, are the most popular hydrocarbon refrigerants used today. Isobutane is derived from butane and is created by the isomerization of butane. As I had mentioned earlier in our ‘Pros’ section isobutane has zero Ozone Depletion Potential and a very low Global Warming Potential of three. It is one of the most climate friendly refrigerants out there today. This is one of the main reasons we are seeing a growing hydrocarbon market. Because of the climate friendliness of 600a there are not venting regulations or purchase restrictions that you would normally find on other refrigerants like HFCs and HCFCs. In other words, anyone can purchase and handle R-600a without EPA Clean Air certification. R-600a has an A3 safety rating from ASHRAE. 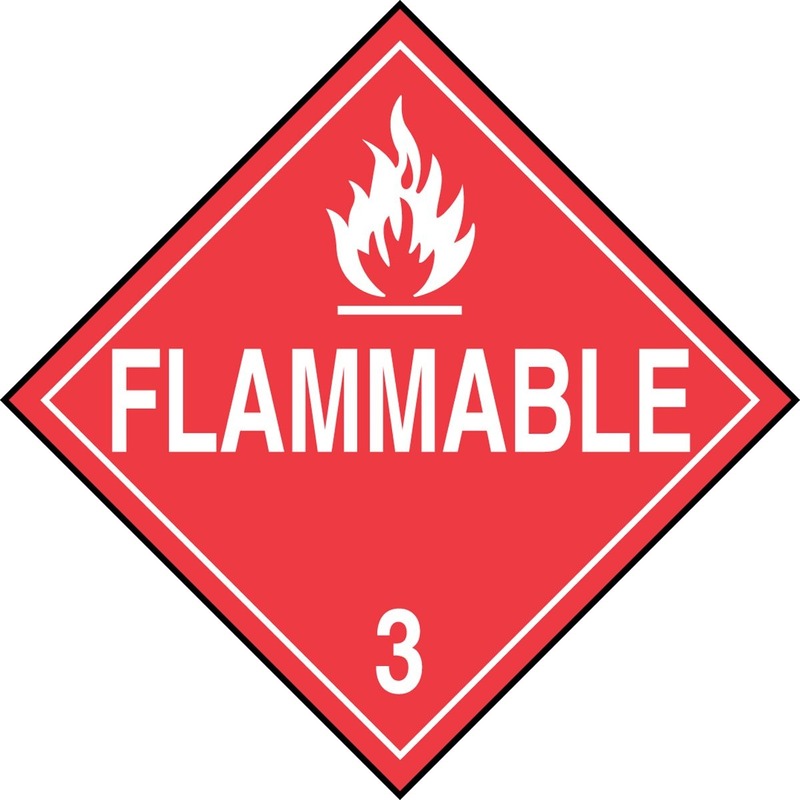 The ‘A’ stands for non-toxic and the ‘3’ stands for higher flammability. This flammability rating is the biggest problem with isobutane and other hydrocarbons. Isobutane is mainly used in household appliances such as refrigerators and freezers. It is also used in medical equipment, vending/ice machines, and in larger scale refrigerators and freezers such as at bakeries or gas stations. R-600a is often the best choice when it comes to medium, high, and very high temperature applications. Whereas R-290 is geared towards lower temperature applications. Ninety-five percent of refrigerators manufactured in Europe, China, Brazil, and Argentina use Isobutane. Even today there are more and more countries adopting R-600a for their refrigerators and freezers. Isobutane is also used in non-refrigerant applications such as aerosol sprays, portable stoves that are used in camps and for geothermal power generation. Isobutane and other hydrocarbons should be handled by trained professionals due to their flammability risk. Due to it’s flammable nature, systems that use isobutane have their charge amount strictly limited by governments and worldwide agencies. In the United States the EPA has approved isobutane for use in certain applications but only up to one-hundred and fifty grams. There are also pending global proposals to increase the standard one-hundred and fifty gram charge upwards to five-hundred grams. Household Refrigerators & Freezers – Originally approved in December of 2011 and then revised in August of 2018. This change increased the maximum charge to one-hundred and fifty grams (source). Retail Food Refrigeration – Stand Alone Equipment – Acceptable as of April of 2015. Approved applications cannot exceed charges of higher then one-hundred and fifty grams. Vending Machines – Approved as of April of 2015. Approved applications cannot exceed charges of higher then one-hundred and fifty grams (source). When going through these approved applications I was honestly surprised to see how small this list was. The list is significantly smaller then even it’s rival hydrocarbon R-290. This may be quite different if your outside of the United States. >Also, please note that these regulations can change at any time. It is best to check the EPA’s SNAP Substitutes in Refrigeration and Air Conditioning page by clicking here to check for the most updates. The concept of refrigeration and air conditioning using refrigerants dates back over one-hundred and fifty years ago. In the very beginning stages of invention, innovation, and testing the most common refrigerants used occurred naturally within our environment. These were what’s known as natural refrigerants and within these natural refrigerants existed a subset known as hydrocarbons. Hydrocarbons were among the very first refrigerants ever used. These included propane, isobutane, ethane, and butane. These hydrocarbons along with the natural refrigerants ammonia and carbon dioxide were the building blocks of modern refrigeration and air conditioning technology that we use today. While these refrigerants were able to cool to the desired temperatures that we wished there were inherent problems with each one of these natural refrigerants. These ranged from the flammability problem found in hydrocarbons to the toxicity in ammonia and to the extreme operating pressures of carbon dioxide. Whatever the natural refrigerant was there was a problem associated to it. It was in the 1930’s that the DuPont corporation formed a partnership with General Motors. The goal of this partnership was to synthesize a new type of refrigerant that would be efficient, safe, and affordable to the masses. The end result of this partnership brought into the world some of the most famous refrigerants in the world: R-11, R-12, and R-22. These new refrigerants were known under the classifications Chloroflurocarbons (CFCs) and Hydrochloroflurocarbons (HCFCs). These new refrigerants reigned supreme for nearly sixty years. The thought of hydrocarbons and natural refrigerants was just that, a thought. Nearly everyone had moved to the new and improved CFC and HCFC refrigerants. While there was still some usage of hydrocarbons they were scarce and more often then not replaced by artificial refrigerants. It was in the 1980’s when it was discovered that when vented or leaked into the atmosphere the chlorine in these refrigerants would damage the Ozone layer. It had gotten so bad that a thinning of the layer was beginning to form in Antarctica. Scientists sounded the alarm to their governments and after some time a world wide treaty was signed to phase down and eventually phase out all CFC and HCFC refrigerants. This treaty was known as the Montreal Protocol. To take the place of the phasing out CFC and HCFC refrigerants a new synthesized classification was introduced known as Hydroflourocarbons (HFCs). These refrigerants were very similar to their predecessors except that they did not contain chlorine, so they did not affect the Ozone layer. While there was a rise in natural refrigerants and hydrocarbons usage during this time it was still mostly eclipsed by the newer HFC refrigerants. The reign of HFCs was much shorter lived then previous refrigerants. It was only about fifteen to twenty years before the world decided to start phasing down HFC refrigerants as well. This time instead of the Ozone it was due to the Global Warming Potential (GWP). The higher the GWP the more damage the product does to the environment and it was found that HFCs have extremely high GWPs. A new solution needed to be found. While HFCs are still majorly used in today’s world there is a large market for alternative refrigerants such as hydrofluoroolefins (HFOs) and now natural refrigerants including hydrocarbons. The attraction of natural refrigerants is that they are just that, natural. They are environmentally neutral which is exactly what the world is looking for today. On top of that, technology has improved leaps and bounds from where it was over a hundred years ago. In today’s world natural refrigerants and hydrocarbons are much safer. In the future of refrigeration and air conditioning we will see these most common refrigerants that we use today, HFCs, become a thing of the past. Already today they are being phased down across the world. The European Union has done away with R-134a and is working towards R-404A and eventually R-410A. The question though is what refrigerants will replace these? There is a battle going on in the industry between natural refrigerants and the newer artificial refrigerant classification known as hydrofluoroolefins (HFOs). At this point I don’t know if there’s going to be a declared winner or not. It seems that as the years go by we are going to see certain parts of the world, and even certain companies, advocate and use one over the other. If it was me, and my business, I would push for natural refrigerants and hydrocarbons. We never truly know how long the HFOs will be with us. I mean just look at the history of the other artificial refrigerants out there. At least with the natural refrigerants we know they’ll be here forever as there is no risk of phase out. While the push to use hydrocarbons is admirable there is still a large hurdle that needs to be cleared before we can begin to truly see world wide adoption. This hurdle is the various charge limits that have been suggested and implemented by different governments and agencies. In the early summer of 2018 the International Electrotechnical Commission (IEC) released a drafted proposal that outlined increasing the charge limits on hydrocarbon refrigerants, such as R-600a, from one-hundred and fifty grams upwards to five-hundred grams. The current standard known as IEC60335-2-89 is seen as the worldwide guideline for what charges to use in hydrocarbon based systems. This proposed changes goes hand in hand with the lobbying efforts of North American Sustainable Refrigeration Council (NASRC). The aim is to increase the charge limits for a variety of hydrocarbon applications to five-hundred grams. This change would allow R-600a and R-290 (Propane) to be deployed to larger systems such as supermarkets and eventually air conditioners. While this change has not yet been approved, most people expect it will be sometime in 2019. IEC addresses the safety concerns of dealing with a larger R-600a charge in the following manners. The first precaution they give is that the system should be completely air tight… but shouldn’t this already be the case when dealing with a refrigerant cycle? The second precaution is that any construction in or around the system cannot cause excessive vibrations. If these vibrations occur damage to the pipes could happen which could cause the isobutane to leak out causing an ignition risk. The last safety precaution that they mention is that if a leak does occur that there is enough room for air to flow and for the refrigerant to dissipate. According to IEC If these precautions are followed then there should be no safety difference between a one-hundred and fifty gram system and a five-hundred gram system. Please note that IEC does not represent the United States of Americas. Their suggestions are just that, suggestions. It is up to individual governments and regulatory agencies to determine the exact amount of hydrocarbon charge that they are comfortable with. Here in the United States the EPA has approved R-600a for use in some applications as long as the charge does not exceed one-hundred and fifty grams. Isobutane is quickly becoming the standard refrigerant when it comes to home refrigerators and freezers. In some parts of the world it is becoming standard even in larger commercial refrigerators and freezers that you would find in restaurants or bakeries. As usual, the United States has lagged behind on this change. We are still using HFCs like R-134a and R-404A to cool our food and drinks. Back in 2015 there were proposed rules by the EPA to begin phasing down HFCs across the US but the rule was overturned by a court’s ruling in 2017. Now, as of today in 2019, there is not yet an Environmental Protection Agency policy on phasing down HFCs. They are expected to make an announcement sometime this year on proposed new HFC rules, but so far there is nothing yet. Some states have taken matters into their own hands and have begun phasing down HFCs. The problem with this though is that many applications that could use hydrocarbons are still deemed as unacceptable by the EPA’s SNAP program. So, it seems that these states will be forced to go through the HFO or other natural refrigerant routes such as R-717 or R-744. Regardless of the various regulations, charge limits, and different agencies we can all be assured of one thing. The hydrocarbon market is growing and will continue to grow. There are just too many benefits for them not to grow and only one, albeit significant, drawback to using them. Just know that these systems are perfectly safe as long as you follow the proper precautions, training, and procedures. Here in the United States we may still be quite a ways off from seeing widespread hydrocarbon usage the time will come where you will run into one of these systems. Natural refrigerants and hydrocarbons, such as propane, are some of the cleanest and environmentally friendly options out there for air conditioning and refrigeration. However, over the past century America has had very little use of natural refrigerants. Instead, we have opted for synthetic refrigerants such as CFCs, HCFCs, HFCs, and now HFOs. While these synthetic refrigerants get the job done and provide us with that cool air we all crave they are not healthy for the environment. As we move deeper into the twenty-first century natural refrigerants have become more and more of our everyday life. The pressure is on here in America and across the world to begin phasing down these synthetic refrigerants and replace them with more environmentally friendly natural refrigerants such as R-290 propane. Ok, so now that we have that in mind let’s take a look at some of the pros and cons that come with R-290 propane refrigerant. The largest attraction when it comes to using R-290 is it’s effect on the climate. Synthetic refrigerants such as CFCs, HCFCs, and HFCs all damage the environment. Some damage through Ozone depletion and others through Global Warming. Either way, they are harmful. Propane has zero Ozone depletion potential and has a Global Warming Potential of just three. In contrast, one of the most popular HFC refrigerants today, R-404A, has a GWP of nearly four-thousand. 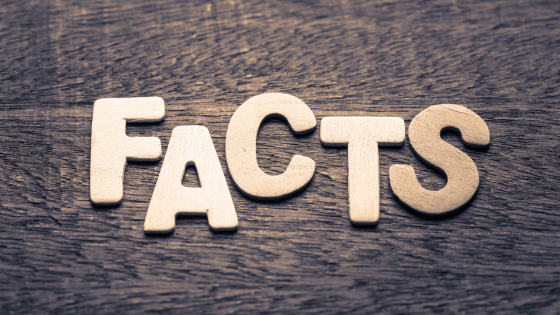 These facts alone are why the world is pushing for more and more R-290 applications. R-290 has excellent thermodynamic performance, it is energy efficient, and it is very reliable. Propane is very affordable and has ample supply especially when compared to some of the more expensive refrigerants out there like R-22. Because of this higher flammability risk with propane the amount of charges allowed by governments is quite limited. As an example, in the United States propane based systems can not have a charge greater then one-hundred and fifty grams. This was actually recently changed by the EPA. (UL standard 60335-2-24 – Source) Before that the old limit was just fifty-seven grams. This rule change applied to refrigerators and freezers as well as other approved applications we’ll get into further on into this article. Again, due to it’s flammability, R-290 is not suitable for use in retrofitting existing fluorocarbon based systems such as R-22, R-410A, or R-404A. These machines were not made to handle flammable refrigerants such as R-290. Propane belongs to the hydrocarbon refrigerant classification and it, along with Isobutane, are the most popular hydrocarbon refrigerants used today. I mentioned this briefly already but the biggest selling point of R-290 is how environmentally friendly it is. Propane has zero Ozone depletion potential and has a Global Warming Potential of only three. That blows out even some of the newer HFO refrigerants. R-290 has a variety of applications that it can be used in including commercial refrigeration, vending machines, ice machines, industrial refrigeration, residential and commercial air conditioning, industrial chillers and much more. Again, I mentioned this already in our cons section, but propane is highly flammable and is rated as such through the ASHRAE safety guidelines. This means that you need to be extra careful when working with it and observe all of the proper safety procedures. Due to the phasing down of HFCs across the world the demand for hydrocarbon refrigerants like propane have gone up exponentially. Along with that demand has come innovation as we are seeing newer and better ways to use R-290 in various systems. Due to it’s flammable nature, systems that use propane have their charge amount strictly limited by governments and worldwide agencies. In the United States the EPA has approved propane for use in certain applications but only up to one-hundred and fifty grams. Refrigerators & Freezers – The EPA approved isobutane in 2012 and propane in 2015. Then, in 2018 a change was made that allowed the maximum charge to move up from fifty-seven grams up to one-hundred and fifty grams. Industrial Process Refrigeration – Approved in March of 1994 and then changed to June of 2010. Vending Machines – Acceptable as of April of 2015 with a charge limit of one-hundred and fifty grams. Water Coolers – Acceptable as of December 2016 with a charge limit of one-hundred and fifty grams. Very Low Temperature Refrigeration – Acceptable as of December of 2016 with a charge limit of one-hundred and fifty grams. Residential Light & Commercial Air Conditioners – Approved in August of 2015 with a charge limit of one-hundred and fifty grams. Heat pumps are included in this as well. While they do mention air conditioners as approved please pay close attention to that charge limit. One-hundred and fifty grams equates out to 0.33 pounds. Now, what air conditioner do you know of that only takes 0.33 pounds of refrigerant? MAYBE a five-thousand BTU system, but even then I feel like that might not be enough. So, while we’re approved for air conditioners I think we’re still a long ways off before we even begin seeing R-290 in window or portable systems. Also, please note that these regulations can change at any time. It is best to check the EPA’s SNAP Substitutes in Refrigeration and Air Conditioning page by clicking here to check for the most updates. When R-22’s prices were hitting all time highs in the summer of 2017 there was a big push for R-22 alternatives from shady manufacturers. Now, I’m not saying that all R-22 alternatives are shady. There are in fact quite a few very well designed ones such as Chemours’ MO99 and Bluon’s TDX-20. But, there are also companies out there who marketed R-290 as an R-22 alternative. They called it ‘R-22a.’ In some cases it was straight propane and in others it was a blend of various refrigerants including R-290. Not only is R-290 illegal in the US for home air conditioners it is also quite dangerous as these R-22 systems are not outfitted to handle flammable refrigerant. This can lead to safety hazards for the homeowner when ‘retrofitting,’ their system to R-290. Along with that if something does go wrong with their air conditioning system down the road and the homeowner does not know how to repair they will end up calling an HVAC technician. 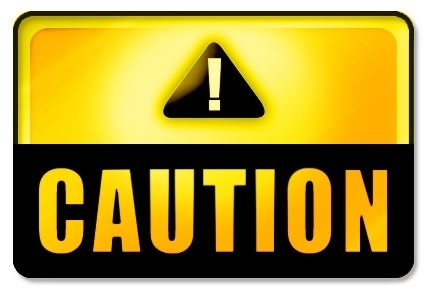 If the homeowner does not inform the technician that they switched their system over to R-290, or the homeowner did not update the stickers on the outside of the unit, then disastrous consequence can happen. In a tragic example out of Australia two technicians were killed when working on what they thought was an R-22 system. It had been switched over to R-290, a leak occurred, and the techs were smoking cigarettes in an enclosed room. (Story can be found here.) Recipe for disaster. A few years back in 2016 a company out of my home state, Kansas, was fined one-hundred thousand dollars for marketing and selling unapproved alternative refrigerants. They had alternatives for R-12, R-22, and R-502 labeled as HC-12a, HC-22a, and HC-502a. You can read more about this story by clicking here. While these poorly done retrofits may not be as much of a problem as they were a few years ago it is best to keep your eyes open when servicing older R-22 systems. You never know what could have been done before you either by the homeowner or a previous technician. Over the past few years there has been a big push to use more and more hydrocarbon refrigerants such as propane and isobutane. One of the biggest hurdles though in using these refrigerants is the various charge limits that have been suggested and implemented by different governments and agencies. In the early summer of 2018 the International Electrotechnical Commission (IEC) released a drafted proposal that outlined increasing the charge limits on hydrocarbon refrigerants, such as R-2190, from one-hundred and fifty grams upwards to five-hundred grams. The current standard known as IEC60335-2-89 is seen as the worldwide guideline for what charges to use in hydrocarbon based systems. This proposed changes goes hand in hand with the lobbying efforts of Sustainable Refrigeration Council (NASRC). The aim is to increase the charge limits for a variety of hydrocarbon applications to five-hundred grams. This change would allow R-290 and R-600a (Isobutane) to be deployed to larger systems such as supermarkets and eventually air conditioners. While this change has not yet been approved, most people expect it will be sometime in 2019. IEC addresses the safety concerns of dealing with a larger R-290 charge in the following manners. The first precaution they give is that the system should be completely air tight… but shouldn’t this already be the case when dealing with a refrigerant cycle? The second precaution is that any construction in or around the system cannot cause excessive vibrations. If these vibrations occur damage to the pipes could happen which could cause the propane to leak out causing an ignition risk. The last safety precaution that they mention is that if a leak does occur that there is enough room for air to flow and for the refrigerant to dissipate. According to IEC If these precautions are followed then there should be no safety difference between a one-hundred and fifty gram system and a five-hundred gram system. Please note that IEC does not represent the United States of Americas. Their suggestions are just that, suggestions. It is up to individual governments and regulatory agencies to determine the exact amount of hydrocarbon charge that they are comfortable with. Here in the United States the EPA has approved R-290 for use in various applications as long as the charge does not exceed one-hundred and fifty grams. Regardless of charge limits there are innovations being done every year on R-290 systems. Some of the most recent that I have seen are the stand alone R-290 supermarket systems. These units are just that, stand alone. They are NOT cooled by a control room or centralized unit. Instead, the charge is kept in the unit itself and the freezer/refrigerator can be moved as needed. It also eliminates risk to business owners as if there is a problem with their system it does not bring down the whole row of refrigerators but just one small section. Something I just read about the other day was that the European Union is working on a double ducted air conditioner that would be designed to replace R-410A systems. This system would use, you guessed it, propane. The proposed system would not be split so there would be no need for refrigerant piping going between parts. This alone would reduce the risk of leakage and make installation much easier. The project is still very much in it’s infancy but it is exciting to see the types of innovations that are being done. For more information on this story please click here. The number of R-290 applications are rising exponentially with each passing year. It doesn’t matter where you are in the world. If you maintenance other equipment besides your standard home/commercial air conditioners then you will run into a propane system. It will only be a matter of time when we begin to see propane home air conditioners as well just as I mentioned above. Don’t let the flammability risk scare you away though. Remember, at least in America, the charges on these systems are quite small and as long as you take the proper precautions and follow standard safety practices then you will be fine. Even if the whole world goes for the five-hundred gram charge we’re still only looking at just over a pound of propane for a charge. Hello everyone! I hope your Labor Day is going well. 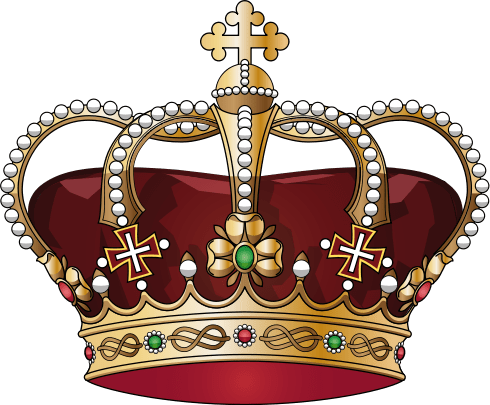 We just got back from our city’s parade and I’ve got a few hours before our barbecue so I thought I’d take some time and get an article out there. I’m going to preface this article with the disclaimer that this is an opinion piece. Take it how you want, but it has been on my mind over the past year or so. As we all know refrigerants have been phased out or phased down for decades. We started it way back in the early 1990’s with R-12 and other CFCs. Then we focused on HCFCs and now the world is looking at HFCs. With CFCs and HCFCs the goal of the phase out was to stop using Ozone damaging refrigerants. These refrigerants contained Chlorine which did not break down in the atmosphere and ended up harming the Ozone layer. HFCs were the replacement for these Ozone damaging refrigerants. HFCs did not contain Chlorine and did not harm the Ozone layer. They were also non-flammable and non-toxic. Yes, I am aware there are always exceptions out there, but the most commonly used HFC refrigerants were non-flammable and non-toxic. These HFCs seemed to be the perfect substitute for HFCs and HCFCs. Fast forward to the present and the world is now looking to phase down or phase out HFC refrigerants across the globe. This time though instead of them damaging the Ozone these refrigerants are contributing to Global Warming. Refrigerants are measured on a scale known as Global Warming Potential, or GWP. The zero scale for GWP is Carbon Dioxide (R-744) with a GWP of one. Popular HFC refrigerants, such as R-134a, have GWP as high as one-thousand four-hundred and thirty. There is an obvious problem here and the continued use of HFC refrigerants will speed up Global Warming. The question now though is what alternatives are out there? For a lot of companies and countries the answer has been Hydrocarbons such as R-717 and R-290. These natural refrigerants have a very low Global Warming Potential and they do not deplete the Ozone layer. In fact, R-717 is widely seen as one of the most efficient refrigerants out there. Both of these refrigerants are great for the environment. The downside though is that these refrigerants can be dangerous. Yes, just like with anything, if the refrigerants and machines are handled correctly and maintained properly then there is little chance of problems, but the chance still persists nonetheless. Let’s look at R-717, or Ammonia, as an example. Ammonia is a great refrigerant but it is toxic if inhaled. In today’s world it is mostly used industrial refrigeration such as meat packing plants and in ice rinks. When a leak does happen it can be deadly. Notice, how I said when? Ammonia leaks occur quite frequently across the Americas. There was a particularly bad one around one year ago in Canada that ended up fatally harming three workers. (Source) When an Ammonia leak occurs an evacuation has to occur. Depending on the size of the leak the evacuation could be a couple of blocks surrounding the facility. It can be that dangerous. The alternative for Ammonia based systems was R-22. In the 1980’s and 1990’s companies could pick between these two refrigerants for their plants. (Yes, there were more, but I believe these were the main players.) The choice for R-22 is now gone due to the phase outs. Depending on the application, some were using R-134a as an alternative to Ammonia. But now, that too, is being phased out. While R-22 and R-134a were damaging the Climate they were safe. If a leak occurred it wasn’t the end of the world. Now with the shrinking list of alternative refrigerants more and more companies are leaning towards Ammonia. Yes, there are new HFC and HFO alternatives being developed by Chemours and Honeywell but these have not been perfected yet. You may get one that has a low GWP but has a higher flammability rating. Or, you may get one that still has a somewhat high GWP and it just wouldn’t make sense to base a new machine off of a refrigerant that is only going to be around for a few years. Now picture this, what if we start using R-290 in home based air conditioners? It doesn’t even have to be a split system, it could be a mini-split or even a window or portable unit. Let’s say Mr. Homeowner, who has no idea what he’s doing, decides to tamper with the unit because it’s not blowing cold air. Maybe he thinks it just needs ‘more Freon.’ If the unit was using Puron then the homeowner would recharge, waste his money, and think he did some good. However, if the unit contained R-290 the results could be far worse. In my opinion, HFOs are much safer then Hydrocarbons, but there is still that safety risk out there. Let’s look at everyone’s favorite HFO target, 1234yf. Now, I know this horse has been beaten to death, but I’m going to bring it up one more time. YF is rated as an A2L from ASHRAE. That 2L means that YF is flammable and has a chance to ignite. What kills me here is that there was such a push to get YF rolled out to new vehicles that instead of rating it as a standard A2 refrigerant they instead created a whole new flammability called 2L. (Lower Flammability.) So, they’re admitting to it being flammable, but only slightly. Needless to say, this test result shocked Daimler and they published their findings to the world. The other companies and countries stated that Daimler’s test could not be reproduced and that it was a non-issue. The world moved forward with the somewhat dangerous 1234yf. Daimler, being the innovators they are, decided to instead move forward with a completely different automotive refrigerant, R-744. While 1234yf is by far one of the most popular HFC alternatives on the marketplace today there are others that have similar problems. One that comes to mind right away is R-32. R-32 is an HFC refrigerant that is beginning to see more popularity for it’s usage in home and commercial air conditioners. R-32 is an alternative to the standard R-410A that is found in most home units. The goal of R-32 was to reduce the GWP number when compared to R-410A. 410A has a GWP of two-thousand and eighty-eight while R-32 has a GWP of six-hundred and seventy-five. This is a significant reduction, but the GWP is still quite high when comparing to Hydrocarbons or HFOs. Another very important point is that R-32 is rated as an A2 refrigerant. There’s that 2 again. 2 means flammable except with this one we don’t even get the L for lightly flammable. So again, I’m going to illustrate the similar scenario we mentioned above. Picture a homeowner, who doesn’t know what they are doing, trying to either retrofit his existing R-22 over to R-32 or perhaps he just wants to recharge his R-32 machine. Without the proper training and knowledge this can end in disaster. So, now here we are sacrificing technician and public safety for the betterment of the Climate and environment. I understand that Global Warming is a crisis and that it needs to be dealt with, but is it really worth increasing possible risk and danger of everyday workers and people? It appears that in everyone’s haste to move away from HFC refrigerants and to save the environment the thought of safety has taken a backseat. The concept of refrigeration and air conditioning has been around for over one-hundred and fifty years. In the infancy of this industry there were a specific set of refrigerants used. These refrigerants were known as ‘natural refrigerants.’ Some of these natural refrigerants included some of the basic elements found today such as water, air, and carbon dioxide. Within the category of natural refrigerants exists a subcategory known as ‘hydrocarbon refrigerants.’ Hydrocarbons are one of the most basic elements found on Earth. They consist entirely of hydrogen and carbon. In the refrigeration and air conditioning world hydrocarbons can be used as refrigerants. Some of the most commonly used hydrocarbon refrigerants are Propane (R-290), Isobutane (R-600a), and Propylene (R-1270). Today hydrocarbons are used across the world in vending machines, supermarket refrigerators/freezers, commercial refrigeration, food processing, cold storage, industrial refrigeration, refrigerated transport, chillers, air conditioning systems, and heat pumps. As you can see, they are highly adaptable to various applications. While HFC refrigerants do not harm the Ozone layer they have another environmental downside known as Global Warming Potential. (GWP) HFC refrigerants are Greenhouse Gases or super pollutants. The higher the GWP number the more damage the refrigerant does in Global Warming. As I write this article HFCs are still commonly used throughout the globe but we are slowly beginning to see them phased down as well. With HFCs, CFCs, and HCFCs all soon to be gone there are only two main choices left. The world can steer towards the new classification of refrigerants known as HFOs or the world can go back towards it’s roots with natural refrigerants such as hydrocarbons. Hydrocarbon refrigerants have zero Ozone Depletion Potential and have a very low Global Warming Potential. The absolute highest GWP on hydrocarbon refrigerants that I could find was twenty-five. The other hydrocarbons were all between five and zero. As a point of comparison, let’s look at the commonly used HFC R-404A refrigerant. 404A’s GWP is three-thousand nine-hundred and twenty-two. Hydrocarbons aren’t all a bed of roses though folks. There are no perfect refrigerants out there today and I’m doubtful there ever will be. There is always going to be a downside to whatever refrigerant that you pick. It could be cost, efficiency, operating pressure, toxicity, or flammability. In the case of hydrocarbons the downside is their safety and flammability ratings. Unfortunately, here in the United States the concept of flammable refrigerants scares a lot of contractors off. However, in recent years hydrocarbons have begun to gain in popularity throughout the country. You can find them in most new vending machines and other smaller applications. In this section we’re going to take a look at the most prominent con when it comes to hydrocarbons, flammability. Just like with anything that is dangerous, if the proper precautions and care are taken then the risk is minimal. Hydrocarbon refrigerants are no different. Yes, they are extremely flammable when compared to other commonly used refrigerants like HFCs and HFOs. But, again, if the proper care is taken then you will be fine. The main risk of hydrocarbons is ignition or explosion of the refrigerant. This can occur when the hydrocarbon is between what’s known as the lower and upper flammability limits. (LFL and UFL.) If the proper safety standards are followed then you should not encounter the scenario where the refrigerant exceeds the lower flammability limit. Please note that the type of safety standards and procedures can change depending on the charge size that you are dealing with. Obviously, the larger the charge the higher the risk. Flammability problems can also occur if you are attempting to retrofit an existing fluorocarbon system over to a hydrocarbon refrigerant. (Please note, that retrofitting an HFC system over to hydrocarbons is illegal in the United States.) Fluorocarbon systems are NOT meant to handle flammable refrigerants and you will need to ensure the proper precautions are taken in the event of a retrofit. Another point of note when retrofitting a fluorocarbon system is to ALWAYS change the label on the system. There are documented cases of technicians smoking while working on an air conditioner that was retrofitted over to propane. The unit was not relabeled and an explosion occurred. Unfortunately, this incident led to the deaths of two technicians. You can read more about this story by clicking here. 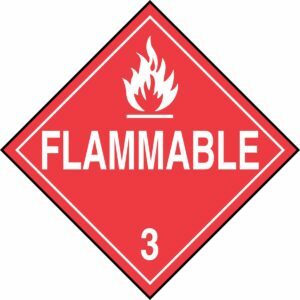 As we mentioned above, flammability is the main risk when working with hydrocarbon refrigerants. While hydrocarbons are not necessarily toxic like Ammonia it can still have detrimental effects if the concentration is high enough. In extreme cases asphyxiation can occur. It is very important that only authorized and trained personnel work on hydrocarbon refrigeration and air conditioning systems. Ok folks, so now that we know what hydrocarbon refrigerants are let’s take a look at some of their history, how they came to be, and what the future holds for them. While the concept of ice harvesting had been around for hundreds of years it was only until the 1800’s when the first real refrigerant systems began to appear. In the 1830’s an inventor known as Jacob Perkins filed a patent. This patent was one of the first vapor compression refrigeration systems in the world. Perkin’s patent had all of the basic parts that we see today: Compressor, condenser, expansion, and the evaporator. In these very early days of experimentation Perkins used the hydrocarbon refrigerant ether. (R-E170) Nearly thirty years later a different patent was taken out by Charles Tellier. This patent built off of Perkin’s vapor compression system but this time Tellier was using methyl ether as a refrigerant. As the years went by more and more advancements were made in the standard vapor compression system. In the 1860’s a carbon dioxide (R-744) system was designed by Thaddeus Lowe. In the 1870’s an Ammonia based system was invented by David Boyle and improved upon by Carl Von Linde. Shortly before the beginning of the twentieth century another refrigerant was patented over in France known as methyl chloride. (R-40) This new refrigerant was the grandfather to the modern day halocarbon refrigerants that are used across the world. In the early twentieth century industrial refrigeration was growing by leaps and bounds across the world. The refrigerant of choice was ammonia. As most of you know, ammonia is seen as the ‘perfect’ refrigerant. It is the most efficient refrigerant out there. The only problem is it’s toxicity. Ammonia is deadly when released in large volumes or in an enclosed area. This is why the industrial application was using it and there was hesitation in the residential and commercial sectors. The commercial sector was growing with limited ammonia systems but not nearly as fast as industrial. The chance of potentially deadly accidents scared off a lot of business and home owners. At this time most homes still relied on ice boxes and other manual ways to store their food. The homes that did have refrigerators were often quite wealthy. These homeowners used a variety of refrigerants such as ammonia, methyl chloride, sulphur dioxide, and propane. Between all of these refrigerants though the safest and the ones with the least amount of incidents were the hydrocarbons. While Propane and Isobutane are flammable the small charge in each system helped to mitigate the risk. In the 1920’s it seemed that hydrocarbons would be the standard refrigerant for most home and commercial refrigerators. Hydrocarbons would have been the future except for the lobbying of ice companies and union laborers. These companies lobbied the government about the dangers of hydrocarbon refrigerants and they were successful. Strict safety regulations were implemented on hydrocarbons. An alternative refrigerant had to be used. In the early 1930’s General Motors and the DuPont Corporation formed a team. This team aimed at one thing: To create a ‘perfect’ refrigerant that could be mass produced, was cheap, safe, efficient, and not flammable. After some time one of the team members, Thomas Midgley Jr., invented the new classification of refrigerants we know today as Chlorofluorocarbons (CFCs) and HydroChloroFluoroCarbons (HCFCs). Two of the most prominent refrigerants to come out of these new refrigerant classifications were R-12 and R-22. These new refrigerants were revolutionary. No longer could only the rich afford refrigerators and air conditioners. These refrigerants put it within reach of the common man. Shortly after the invention more and more air conditioners and refrigerators were produced. In the 1950’s a better synthesization method was discovered. This improved process caused the market to explode. Demand was everywhere and soon enough there were refrigerators in nearly every home across the country. Air conditioners weren’t far behind either. This meteoric rise of CFC and HCFC refrigerants caused the usage of hydrocarbons to drop and drop across the world. After all, why would anyone use hydrocarbons if there was a cheaper and safer alternative readily available? These two scientists found that when a CFC refrigerant was exposed to ultra-violet irradiation that the Chlorine atom would detach itself from the CFC molecules. The remaining residue is oxidized resulting in the creation of a Chlorine oxidized molecule and a new residue. The Chlorine atom and Chlorine oxidized molecule move their way up to the stratosphere. Within the stratosphere there is a layer called the Ozone layer. This Ozone layer protects the Earth from ultra-violet rays and irradiation. What these scientists found out is that all of this Chlorine from CFC and HCFC refrigerants was working it’s way to the stratosphere. When it reached the stratosphere the Chlorine began to attack and weaken the Ozone layer. Over decades of using CFCs and HCFC refrigerants Chlorine began to accumulate in the stratosphere and overtime a hole began to form in the Ozone layer. Now, I say hole but this wasn’t a hole per-say. Instead, there was a weakening of strength in the layer. So, while there was not a hole, the thickness of the Ozone was decreasing and decreasing rapidly thanks to the CFC and HCFC refrigerants. The Ozone prevents harmful UVB wavelengths of ultra-violet light from passing through the Earth’s atmosphere. Without it, or with a weakened version of it, a variety of bad things could happen. Some of these include a much higher increased chance of Skin Cancer, more severe sunburns, more chances of cataracts, and a whole host of other problems. After discovering the weakening of the Ozone layer nations banded together in what is seen as one of the greatest and most effective treaty’s every made. In 1986-1987 the Montreal Protocol was created and signed by over one-hundred nations across the world. This Protocol was an international treaty designed to protect the Ozone layer and to completely phase out the chemicals responsible for the weakening of the Ozone. The treaty went into effect in 1989. Soon after that date marked the beginning of the end for CFC and HCFC refrigerants across the globe. The industrialized countries, like America, began to phase out the refrigerants first. R-12 was phased out in the early 1990’s along with all of the rest of the CFC refrigerants. The HCFC refrigerants such as R-22 or even R-502 were given a bit more time. Heck, R-22’s true phase out didn’t even begin until 2010. Out with the old and in with the new, so they say. The refrigerants that were proposed to replace CFCs and HCFCs were known as HFCs, or Hydroflurocarbons. These refrigerants contained no Chlorine so there was no chance of them hurting the Ozone layer. Some of these refrigerants include popular refrigerants today known as R-134a, R-404A, and R-410A. But, now these HFCs refrigerants are under fire for their increase to Global Warming. During the transition away from CFC/HCFC refrigerants most countries moved towards HFC refrigerants. Again, HFCs were the easy solution. They were safe, they were cheap, and they didn’t harm the Ozone layer. Although there were some countries and companies that opted towards natural refrigerant and hydrocarbons, the majority of the world switched over to HFCs. Just like with previous fluorinated refrigerants HFCs were inherently flawed. It wasn’t chlorine this time though folks. With HFCs the big concern was Global Warming Potential, or GWP. Global Warming Potential is a measurement of how much heat a greenhouse gas can trap within the atmosphere. HFC refrigerants are green house gas or super pollutants. The higher the GWP number the more impact the refrigerant has on Global Warming. As a base for the GWP scale we use the natural refrigerant carbon dioxide (R-744). Carbon Dioxide has a GWP value of one whereas the popular HFC R-404A has a GWP of nearly four-thousand. The use of HFCs across the globe could not continue. This much was certain. What was uncertain though is what would replace HFCs? Would the world go to the natural/hydrocarbon refrigerant route, or would they trend towards a new class of fluorinated refrigerants known as Hydrofluroolefins. While the world hasn’t phased out HFCs entirely yet, we are well on our way. Europe has already phased out R-134a and are in process of phasing out R-404A and R-410A. California, New York, and other States have announced their plans to phase down HFC refrigerants. This is the only the beginning folks. HFCs will be going away soon. As I mentioned above, the next question is will the world pivot towards HFOs or towards natural refrigerants like hydrocarbons? At this time it’s difficult to say. If I was to make an educated guess I would say that we’re looking at about half and half. Some companies and countries are pushing entirely towards the new HFO refrigerants or even to lower GWP HFC refrigerants such as R-32. Other areas have begun developing new technologies to allow for easier use of natural refrigerants such as Carbon Dioxide. Going right along with the smaller charged systems like refrigerators we can also find hydrocarbons in vending machines and ice machines. This initial push of using propane and isobutane in vending machines began with our eastern neighbors Japan and Korea. In recent years we are now beginning to see hydrocarbon vending machines being produced and distributed throughout the United States. Another market that hydrocarbons have their sights on is the supermarket and convenience store refrigerators and freezers. With the current HFC systems that we use today they are all connected and managed through a control room. In order to keep all of these units cool and working a rather large refrigerant charge is needed. Hydrocarbons provide an alternative solution. A hydrocarbon unit will come standalone. It is not connected to a main control room. In fact, it’s plug and play. You can move it to wherever you need within the store and then plug it in. Super market managers love this feature as it makes that much easier to display their sale items to their customers. Along with the ease of use, managers will also notice an efficiency savings by switching to hydrocarbons. The big selling point though by having their units as a stand alone system is the much smaller charge. Just like with refrigerators and vending machines, the lesser the charge the lesser the risk. Hydrocarbons just wouldn’t be feasible to use in a HFC super market system. The charge would be too large. These hydrocarbon systems are gaining more and more popularity in supermarkets across the US, Europe, and Japan. The Whole Foods chain has over one-hundred stores using hydrocarbons, Target more then nine-hundred stores, and Aldi over two-hundred stores. On top of these grocery chains we have also seen a rise of gas stations switching to hydrocarbons. While smaller air conditioners seems to be the logical next step the United States’ Environmental Protection Agency has not deemed hydrocarbons acceptable in air conditioner use. The good news is that in recent years the EPA has begun to relax some of their charge restrictions on hydrocarbons when it comes to refrigerators and freezers. A SNAP rule was issued by the EPA on their changes back in 2018 and can be found by clicking here. For most of the twentieth century the outlook for hydrocarbon refrigerants was grim. They had been eclipsed by CFCs and HCFCs in the early 30’s and then eclipsed again with the rise of HFCs. However, it seems that in the twenty-first century the world will fall back in love with hydrocarbons. The hydrocarbon market is growing by leaps and bounds and with each year that passes the possible market expands. Regulations and restrictions are being relaxed to allow hydrocarbons to pave a path to a bright and cleaner future. Chances are if you haven’t run across a hydrocarbon system yet you will very soon. I am all for getting back to our roots. So many times nowadays it seems that we over complicate things. The same thing can be said when it comes to refrigerants. If we go back to the infancy of refrigeration and air conditioning we can find natural refrigerants as the primary refrigerant. Natural refrigerants are just that, natural. They occur naturally within the environment. They are not created in a laboratory like some of the other refrigerant classifications such as Chlorofluorocarbons (CFCs), Hydrochlorofluorocarbons (HCFCs), Hydrofluorocarbons (HFCs), and Hydrofluoroolefins (HFOs). Because natural refrigerants already exist in nature they are very environmentally friendly. None of them have any Ozone Depletion Potential (ODP) and they also have very little Global Warming Potential (GWP). Natural refrigerants are used in a variety of applications from large scale industrial operations such as a meat packing plant all the way to a dormitory refrigerator. Ammonia for example is used in storing/processing of food/beverages, supermarket refrigerators/freezers, convenience stores, ice rinks, and much more. Should you, or your company, consider natural refrigerants? What does the future look like for them? Are they sustainable? In this article we’re going to dive into the pros and cons of these types of refrigerants as well as take a look at their past, present, and future. When considering a refrigerant it is always best to review their pros and cons. As most of you know there is and probably never will be a perfect refrigerant. Each refrigerant you deal with rather it be a synthetic model or a natural one will all come with pros and cons. Take the famous R-12 and R-22 CFC/HCFC refrigerants. They were very efficient and cheap to produce but they damaged the environment greatly with their Ozone depletion. Natural refrigerants have these sames ebbs and flows only magnified. With R-12 we could all safely say that all CFC refrigerants, including R-12, damaged the Ozone and had to be phased out. Natural refrigerants are a different story as each refrigerant has it’s own specific set of drawbacks. Alright folks so we’ve taken a look at what these natural refrigerants have to offer. They’re friendly to the environment and in some cases they are extremely energy efficient. The question now though is what are the downsides? Well, as I mentioned before each type of natural refrigerant has it’s own specific sets of drawbacks. In this section I’l briefly touch on each of these. Let’s start firstly with ammonia. It’s widely known as the ‘best’ refrigerant but there is still a lot of hesitation when it comes to using it, especially in a commercial or public area. Ammonia is rated as B2L from ASHRAE. The ‘B’ rating indicates that ammonia is toxic if inhaled. (You can read more about ASHRAE’s refrigerant safety rating by clicking here.) If not handled properly, or if there is an accident, ammonia can be deadly. Most of the time when a leak does occur it’s captured right away and it doesn’t make headlines. That being said, I do see every few months a report of an ammonia leak at a factory or ice rink and a square block is evacuated by the fire department as a precaution. In one drastic example from 2017 in Canada three fatalities were recorded due to a leak of an ammonia system at a small town’s ice rink. You can read about this sad story by clicking here. While ammonia is dangerous, it doesn’t mean it can’t safely be used. There are more and more innovations each year that makes for safer ammonia use. I’ll get into these further in our next section. Another one of the most common natural refrigerants out there is carbon dioxide. Just like with ammonia, carbon dioxide dates back all the way to the 1800s and was one of the very first refrigerants. The good news is that carbon dioxide is non toxic and is rated by ASHRAE at a A1. There is no toxicity risk and no flammability risk. The downside though with carbon dioxide is the pressure at which it operates. Carbon dioxide operates at ten times the pressure levels then ammonia or the HFC R-404A. This increased pressure requires systems to be specifically designed to withstand it. That means thicker and more durable components. This leads to more cost of the overall system and also deters some manufacturers from even trying a carbon system. Along with the increased cost there is also higher chance of breakage or part failure due to the increased strain. The last big con that I wanted to mention mainly focuses on hydrocarbons but the same can be said about ammonia as well. Hydrocarbons are known for their flammability. After all two of the most prominent hydrocarbon refrigerants are propane and isobutane. While the flammability risk does scare away a lot of people from installing these types of systems it should be noted that with a small of charge the risk is shrunk significantly. I won’t get into every other natural refrigerant option in this section as I could go on forever. Instead, I’ll dive deeper into the more obscure ones when I do a refrigerant fact sheet on each of them. As a brief synopsis though besides toxicity, high pressure, and flammability we also run into problems of corrosion and energy inefficiencies with certain natural refrigerants. Most of the time when you hear someone talking about natural refrigerants they typically talking about only a few refrigerants. It’s either ammonia (R-717), carbon dioxide (R-744), or hydrocarbons (Propane or Isobutane). While there are some applicable practices of water (R-718) and air (R-729) you normally don’t see these in a standard vapor compression system that we are all used to. To understand where natural refrigerants today we first need to understand the history of refrigerants. Luckily, history is our next section. The reader’s digest version though is that in the beginning natural refrigerants were the very first refrigerants used. Then, as technology progressed fluorocarbon refrigerants were invented. Since the 1930’s up until present day fluorocarbons have been the dominant refrigerant in the marketplace. Fluorocarbons aren’t perfect though and cause harm to the environment either through Global Warming or through Ozone depletion. In order to find a more environmentally friendly refrigerant the world has begun to turn back to natural refrigerants. Well, let me put that another way. At this time the industry is at a crossroads. Countries and companies can either move towards the new fluorinated class of refrigerants known as hydrofluoroolefins which has significantly lower GWP then their HFC counterparts, or they can move towards natural refrigerants and hydrocarbons. It’s tough to say who will win the battle between these two refrigerants, or if we’ll end up with a fifty fifty split market. Even today companies are announcing steps they are taking to be completely HCFC and HFC free. One example of this is Ajinomoto Frozen Foods out of Japan. (Source from Ammonia21.com) This food manufacturer announced that they plan to phase out all of their HCFC and HFC machines by the year 2030 and replace them with natural refrigerant options or other very low GWP options. In order to make natural refrigerants and hydrocarbons more competitive against their HFO rivals manufacturers have begun looking for ways to reduce the charges required. This is an attempt to make ammonia based systems and hydrocarbon based systems safer for general use and more residential/commercial use. If the charge is small enough that even if a leak does occur the danger is minimal or even non-existent then why wouldn’t you go with a natural based system? An example of this can be found in some grocery store refrigerator and freezer systems. In our hydrocarbons article we touched on the newer standalone R-290 refrigerators for grocery stores. These stand alone units allow a much smaller charge then a centralized system. But, there are also solutions for centralized systems as well. Newer systems can come with both a primary and a secondary refrigerant. In the main control area ammonia is used and in the display area harmless carbon dioxide is used. This way, if there is an ammonia leak it is isolated to the control room and customers and the general public are unaffected. Because of these innovations and inventions the world is seeing more and more natural refrigerant applications. This is only expected to rise as older R-22 systems finally begin to retire. Business owners are looking for an alternative refrigerant that will last more then a few years. HFCs are on the way out and it wouldn’t make sense to install a newer HFC system. No, this is why we are seeing more and more ice rinks and other larger plants moving away from R-22, R-134a, and R-404A over to either ammonia or carbon dioxide. As the years go by and technology improves we can only expect the natural refrigerant market to grow and grow and to also move into new and previously undeveloped markets. Aiding in that growth are certain governments and states across the Americas and Europe that are offering business owners incentives and tax breaks for replacing their older HCFC or HFC systems with natural refrigerants rather it be ammonia, carbon dioxide, or hydrocarbons like propane. Alright folks, now for the history lesson. I’ll spare you the read up front if you already read our hydrocarbon page’s history section. It’s going to be about more or less the same as, let’s face it, they have right about the same history. Natural refrigerants began in the nineteenth century, fluorinated refrigerants had the twentieth century, and natural refrigerants will rise again in the twenty-first century. Unlike CFCs, HCFCs, and even HFCs we can be assured that natural refrigerants will never be going away. They are climate friendly and we will only be moving forward with them as technology advances. For a business owner or manager looking to replace their aging HCFC or HFC system natural refrigerants are the…. natural choice. (I meant to do that!) On top of being environmentally friendly they also can give you the peace of mind knowing that there is no risk of phase downs or phase outs with natural refrigerants. 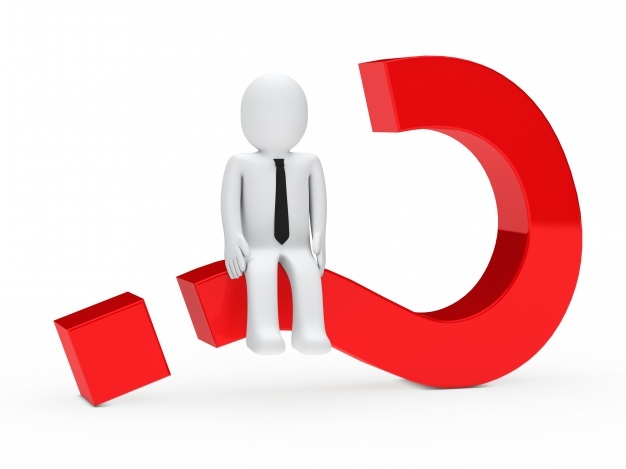 If there is one thing business owners love is a low risk investment. Who knows folks, there may come a time where it is only natural refrigerants that are used around the world and our beloved HFCs are a thing of the past. 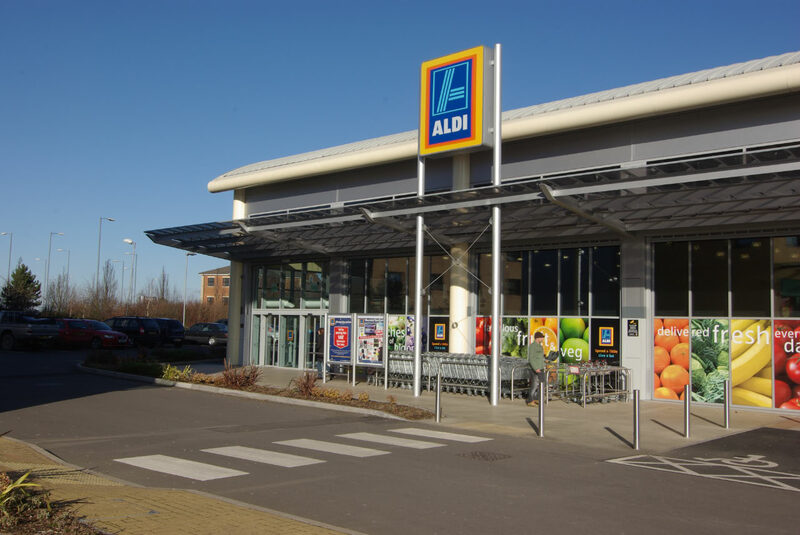 The grocery store chain Aldi has announced their intention to switch all of their stores in the United Kingdom to CO2 refrigerant. (Also known as R-744.) Their goal is by the end of the year 2018, just over twelve months from now, that one-hundred of their stores will be fully converted over to R-744. This is a twenty million Euro investment for the German based company. That’s equal to about twenty-three and a half million dollars. 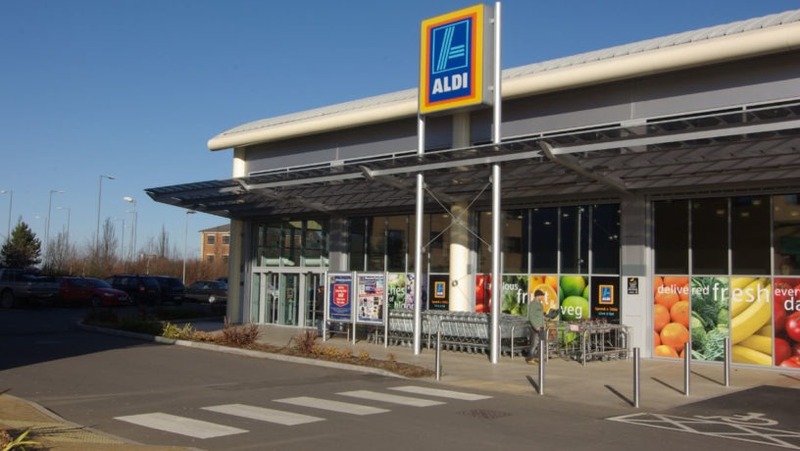 This is just the start for their conversion as Aldi has over seven-hundred stores in the United Kingdom and plans to open up another three-hundred over the next couple years. All of these stores will be using CO2 as their main refrigerant source. The second reason Aldi made this decision was for it’s impact on the environment. Sure, you can say that the environment was their primary reason but they are a business and they weighed the pros/cons and the cost involved in switching now or switching later when they got closer to the 2030 deadline. Switching now made more financial sense. By switching over to CO2, or R-744, Aldi will be reducing their gas carbon emissions down by ninety-nine percent and will see an annual decrease of over fifteen-million in Global Warming Potential. CO2 refrigerant has a GWP of 1. That is a HUGE difference when comparing it to the commonly used R-404A refrigerant which has a GWP of 3,922! You can begin to see why governments have been pushing to phase these HFC refrigerants out. R-744 refrigerant is becoming increasingly popular across the world. It’s ironic really as CO2 was one of the first widely used refrigerants in the world. Let’s go back one-hundred years. Chances are if you went to a movie theater on a hot summer day in the 1920s that the movie theater would have been cooled by CO2. You’d step in from the heat and feel the cool and relaxing air and then watch yourself a Charlie Chaplin film. The problem with CO2 back then, and today, is that it requires an extremely high pressure to operate in a refrigeration cycle. This high pressure caused units and parts to break repeatedly. It was during the depression when a new cheaper alternative refrigerant was discovered. The CFC R-12. The moment R-12 was discovered it took off and was soon found in every application across the globe. Next came R-22, and so on and so on. So, we went from CO2 > CFCs > HCFCs > HFCs > and now back to CO2. We’ve come full circle folks. The difference here is that with today’s technology, new parts, and equipment the extremely high pressure of CO2 is no longer a problem. We have stronger, tougher, and better tools and parts to compensate for this pressure. Now the big concern is danger to the earth and the climate. R-744 is one of the most logical answers here. Like it or not folks natural refrigerants, like CO2, are going to be part of our future. HFCs are going away and the HCFCs are pretty much gone already. We have two choices. 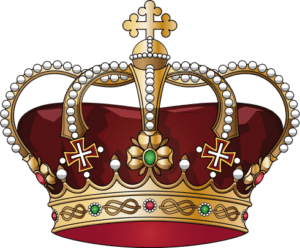 We are either going all in on the new HFO refrigerants or we are going back in time to the days of Natural Refrigerants such as CO2 or Ammonia. Which do you prefer? If and when you do come across a CO2 unit just think of yourself as honoring the past. You’re honoring the memories of your grandparents and maybe even their parents. The people who pioneered this technology we are now using today. Part of our American Business Act on Climate Pledge is to drive implementation of refrigerants free of hydrofluorocarbons (HFC)—which contribute to climate change—in our food distribution centers and stand-alone refrigerated display cases. Recently, we opened two new food distribution centers that employ an HFC-free refrigerant, eliminating 900 metric tons CO2e—the equivalent of CO2 emissions from consuming 101,272 gallons of gas. We also require all new and replacement stand-alone coolers use a natural, HFC-free refrigerant (R290) to meet this commitment. We’re joined by more than 50 food retailers in the EPA’s GreenChill program to reduce refrigerant emissions and their impact to climate change. As you can see above Target publically pledged that they would begin transitioning their refrigerated cases to R-290 beginning in January of 2016. Well, here we are now in January of 2017 and Target has shown tremendous results. 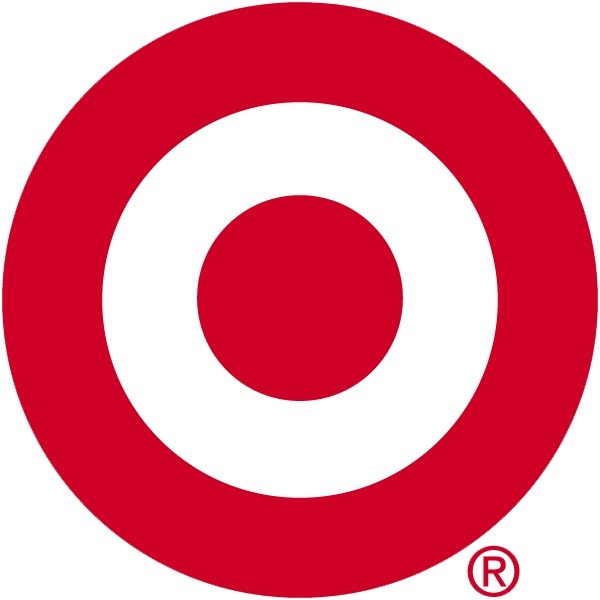 Target now has propane units in five-hundred and eighty stores out of their eighteen-hundred stores. That’s thirty percent of their stores that now use propane refrigeration. Regardless of how you feel about the change it is rather remarkable for them to change that much in only a year. 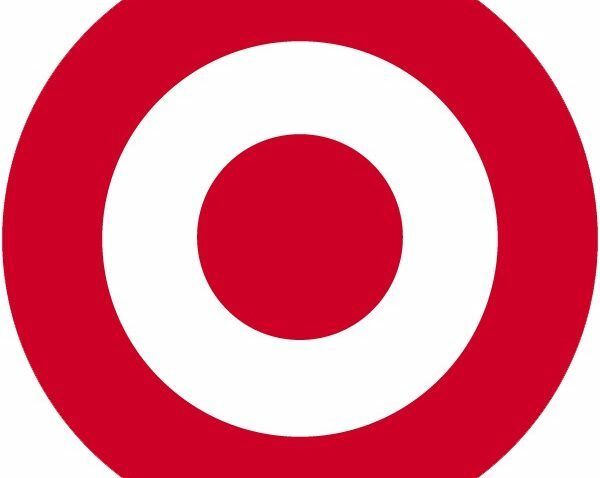 In 2017 Target plans to operate some of their stores on nothing but R-290 refrigeration. Target is leading the way on Hydrocarbons in the United States. Target had a choice when they pledged to do away with their R-404A/R-134a usage. They could wait for Honeywell and Chemours to develop a new HFO refrigerant or they could use a refrigerant that is already in the market and that has already been proven to be effective. They chose R-290. There were no extra research and development costs involved. It was the easier choice. Propane is the environmentally friendly choice. In the past we had the CFCs and HCFCs such as R-22 and R-502. When leaked or vented these refrigerants actively damaged the O-Zone layer. The world made the switch to HFCs in the 90s and 2000’s. All was well with these until we figured out that HFCs are a ‘super gas’ when it comes to greenhouse gases. 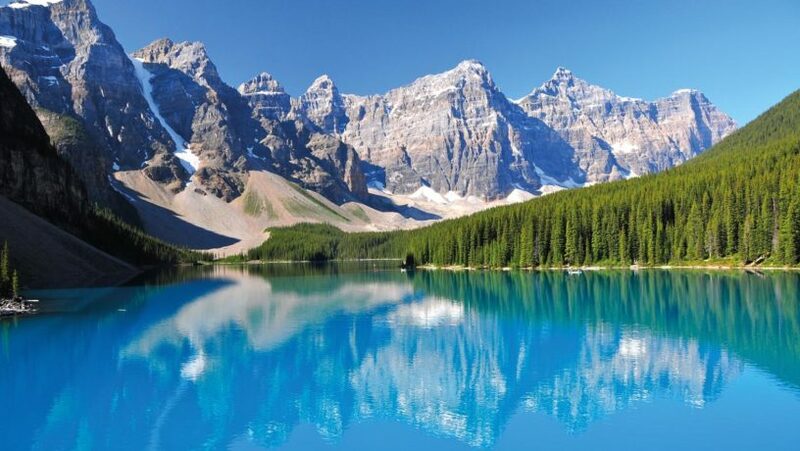 This affect on the environment is measured by Global Warming Potential, or GWP. The GWP of R-404A is 3,922 times that of Carbon Dioxide. In contrast the GWP of R-290 is 3. Yes, that’s right 3. Quite the difference, huh? It’s easy to see why this is the environmentally friendly choice. R-290 is around fifty percent more efficient than the current HFCs being used today. What that translates to is lower power and energy bills for all of the Target stores that are using the new refrigerant. Referencing the article from Hydrocarbons21.com they say that if Target replaces ten cases with propane over one-hundred stores they will save an annual amount of $42,920. Now, maybe it’s the cynic in me, but $42,000 in savings over a year across one-hundred stores is VERY minimal. The thing that you have to think about is what is the cost Target is having to put forward to buy all of these new units? What is the labor to have them all installed? My guess would be hundreds of thousands of dollars across all of their stores. $42,000 doesn’t sound like much now does it? It makes me wonder how long it will take for Target to fully recover their investment on this more efficient refrigerant. I would be amiss if I didn’t mention this. I’m sure it is on everyone’s minds. R-290 is propane. As everyone knows Propane tends to explode. Just the other day I wrote an article about two technicians who were killed by a propane refrigerant explosion. (It can be read by clicking here.) Do you know why this accident happened? It was because of recklessness. These two techs did not know what they were doing. Propane had been put into a unit that was not meant for propane. On top of that it was mixed instead of being flushed and to top it all off they were smoking while they were working on the unit. It was the perfect storm for an explosion. I’m not trying to be insensitive here. Two men lost their lives and that is never a good thing. The point that I am trying to make here is propane is not dangerous if you know what you are doing. How many of you get nervous when you light your gas grill up and throw some burgers on? I know that I don’t. I don’t because I know what I am doing. I’m not going to pull the gas line out and light a cigarette with it. The same goes with propane refrigeration units. As long as you know what you are doing and you have done your research you’ll be fine. There’s a reason these are used all over the world. As I said before Target is leading the way on hydrocarbons here in the United States. In my eyes I don’t see this as Target being an innovator but instead Target being bullied by the Obama Administration. You make these changes, or else. (I’ve said in previous articles how I feel about these changes, but I won’t get into it here.) Target realized the risk to profits and to their business so they bit the bullet and began investing the money into the newer machines. It only made sense. If I was a business owner faced with that decision I would be on the side that made the government happy. The irony of this is that Target started switching everything over in 2016. IF they had waited one more year all of this may have been null and void. 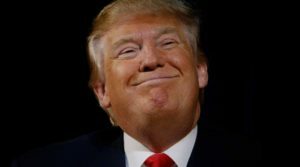 Trump comes to power in only a few weeks and he has said multiple times that he thinks Climate Change is a Chinese hoax. Rather you believe him or not you have to look at it from a future perspective. I’m sure that when Trump gets into office the pressure for companies to switch away from HFCs and over to HFOs or Hydrocarbons will be gone. Regardless of the politics of the issue, I still feel that Hydrocarbons will start to become more and more popular here in the United States. If you haven’t already trained on them I would suggest you take the time and do some research. It is only a matter of time before you come across a propane unit and if you’re servicing a Target location it may end up being tomorrow! Thank you and if you enjoyed reading the article please take the time to subscribe to our mailing list which can be found on the very top right of the page. I will also be writing a future article on the pros and cons of R-290. Stay tuned. An explosion in a hotel in Victoria, Australia left two men dead in June of 2014. This week the cause of the explosion was agreed upon by expert investigators including an expert in chemical arson. The air conditioning unit was located in the basement of the hotel with no proper ventilation, warning signs, or anything else. The two men working on the unit, Barry Purtell, 34, and Dave Lobb, 52, were not trained on how to handle refrigerants or air conditioning units. One of them was a diesel mechanic by trade and they most likely assumed that they knew what they were doing. Their objective was to remove the unit from the basement either to be replaced or repaired. Here is where things get a little fishy. The two men attempted to remove the compressor’s wiring. Through this process they cut into the copper tubing of the unit causing the flammable refrigerant to be released into the basement. There were no gas sensors and no ventilation. There was no indication that the two men recovered the refrigerant from the unit before trying to remove the compressor. To top it all off both men were smokers and at the scene of the explosion investigators found a cigarette lighter along with many cigarette butts. Couldn’t get much worse than that. One man died immediately in the explosion and the other died two weeks later in intensive care. R600a and R290 are hydrocarbons. These refrigerants are flammable and are only allowed for use in appliances which fulfil the requirements laid down in the latest revision of EN/IEC 60335-2-24. (To cover potential risk originated from the use of flammable refrigerants). Consequently, R600a and R290 are only allowed to be used in household appliances designed for this refrigerant and fulfil the above-mentioned standard. R600a and R290 are heavier than air and the concentration will always be highest at the floor. R600a must only be stored and transported in approved containers and must be handled according to existing guidelines. So, not only did they use a flammable mixture of R-290 and R-600a they also used a specifically designed automotive refrigerant in a stationary commercial building application. A year or so later after they had filled the unit with the HyChill mixture another technician topped the unit off with SP34E refrigerant. From what I have read on the SP34E it is not flammable and has no flash point. (Source from ACHR News.) There was now a mixture of the HyChill R-600a/R-290 mixed with SP34E in this one unit before these guys even went down there to work on the machine. I do not blame the SP34E for the explosion but instead the HyChill Hydrocarbon mixture and two men who did not know what they were dealing with. While the loss of two lives at any time is sad it is even sadder to know that it was preventable. If they had taken the proper precautions. If they had a properly trained technician. If they hadn’t been smoking. If they hadn’t used the propane/isobutene mixture. If there were gas sensors or alarms in the room. Any one of these could have stopped the explosion and saved lives. As the years go on and the world moves to more and more alternative refrigerants it is up to the technicians to know what they are dealing with and what to anticipate. The days of laymen repairing, working on, or installing their own air conditioning unit are quickly coming to an end. I have said this before and I’ll say it again in a decade or more air conditioning technicians will be an extremely specialized trade with more and more schooling required to learn how to engage and interact with all of the various machines and refrigerants out there. 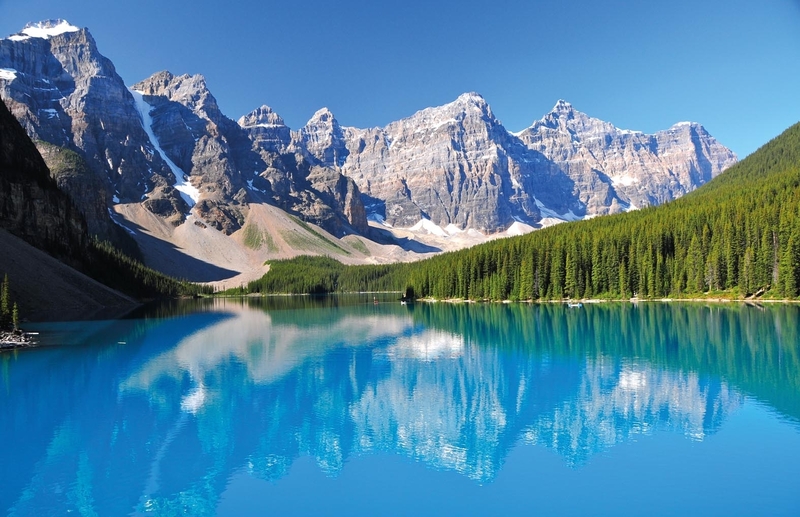 While this took place in Australia with a hydrocarbon refrigerant it is worth noting that as the HFCs begin to be phased out we will begin seeing more and more hydrocarbon refrigerants enter the United State’s market. There may come a time in the near future where you come across an R-290 unit. If you do, word of advice… don’t smoke while you’re working on it. I’ll close this article with saying that if you do not know the details of the refrigerant you will be working on then stop! Stop until you are familiar with it. The days of guessing your way through it and potentially venting refrigerant into the air around you are over. Hire a technician who knows what they’re doing. Yes, it will cost more money but what is more important? Money, or safety? 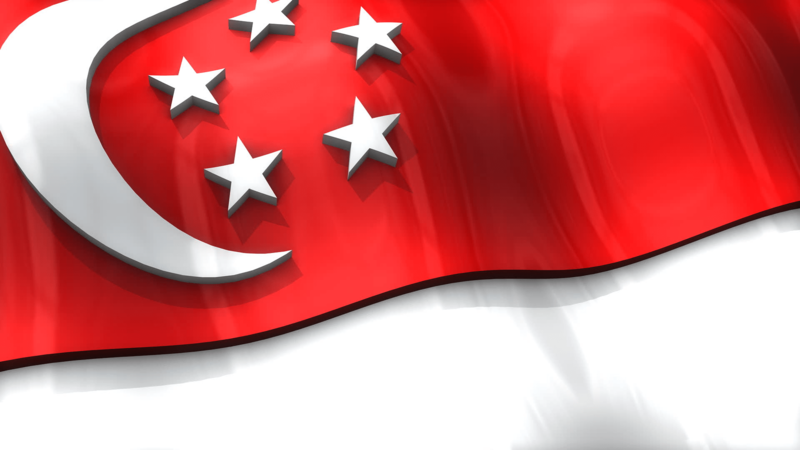 Singapore company fined $150,000 for Hydrocarbon refrigerant death. A company out of Singapore was fined $150,000 as a direct result of a hydrocarbon refrigerant explosion that killed one worker and injured two others. The event happened back in 2012 at a factory where three workers were tasked with converting a unit away from the Hydrocarbon refrigerant and over to a safer, less flammable, refrigerant. Typically when evacuating refrigerant a recovery cylinder is used to prevent the refrigerant from escaping into the air as well as allowing reuse or recycling of the old refrigerant. I’m not sure why, but the workers in this case did not use a recovery cylinder but instead vented the entire refrigerant into the confined utility room that they were in. The only place for the refrigerant to escape too was a small open window. They even had the door to the utility room closed. Hydrocarbon refrigerant gas is denser than air and thusly will settle on the ground floor of a room. In this case the only way for the refrigerant to escape was the open window that sat higher than ground floor. At one point during the job one of the workers, Abadul Jaynal Sikder, switched on a shop vacuum to do a clean up of the site before they wrapped things up. The switching on of the vacuum cleaner caused a spark, like it always does. The spark ignited the refrigerant that was pooled on the ground and caused a flash of fire to fill the room. His two colleagues escaped through the open window while Abadul Sikder left through the main door. All three technicians suffered severe burns and four days after the incident Mr. Sikder passed away. Their company was fined for inadequate training of their technicians as well as not providing their techs with the safety data sheet of the particular hydrocarbon refrigerant that they were working with. Hydrocarbons are in the process of being phased out across Singapore and by the end of 2016 it is predicted that most units will be using alternative refrigerants such ash HFCs or HFOs. Their seems to be a constant battle waging between the usage of HFCs, HFOs, and natural refrigerants. At this point it is anyone’s guess as to who will come out on top. Earlier this month Northcutt, a company specializing in refrigerated trailers, was fined $100,000 by the Environmental Protection Agency. It was found that Northcutt was promoting and actively selling alternative refrigerants to the standard R-404A used in refrigerated cargo. While there is nothing wrong with alternative refrigerants it should be noted that by law the Environmental Protection Agency has to approve any and all alternative refrigerants for us before they can be distributed and sold in the country. Northcutt was selling unapproved hydrocarbon refrigerants to it’s customers. Hydrocarbon refrigerants are notoriously more flammable than their HydroFluroCarbons counterparts. (Hydrocarbons can contain propane or isobutene.) According to the EPA these hydrocarbon refrigerants have the risk of creating a potential fire or explosion and as such provide a serious risk to human health and the environment. Under the agreement with the EPA Northcutt will pay the $100,00 fine but will not admit that they broke the law by selling the alternative hydrocarbon refrigerants. Northcutt’s owner, Bill Johnston, stated that, “Northcutt believes that its domestic refrigerant products are not subject to the EPA’s SNAP regulations.” The EPA states that Northcutt’s alternative refrigerants ARE subject to SNAP regulations. Customers who bought a unit with the alternative refrigerant will be receiving a letter from Northcutt stating the EPA’s decision and Northcutt’s decision on the alternative refrigerants. If you are interested in reading the legal document it can be found on the Justice Department’s website or by clicking here. I’ve seen a few fines over the past year or so and each time the company involved has to pay at or over $100,000 to the Federal Government all because they used an unapproved refrigerant. Do yourself and your company a favor and check with the EPA beforehand if you are considering using an alternative refrigerant in your industry. It is not worth the risk to just wing it and see what happens. The best part of this whole article? As of today, January 21st, 2016, Northcutt is still actively selling their alternative refrigerants on their website. The list includes alternatives to R-12, R-22, and -502A. Their alternatives are HC-12a, HC-22a, and HC-502a. You can visit their alternative webpage by clicking here. I’m genuinely curious to see what happens here in the next few months. Will these refrigerants still be up for sale, or will the EPA win and they will be taken down? Justice Department Website about the Case. In just a month from now one-hundred and ninety-seven countries will meet in Dubai for the twenty-seventh meeting of the Montreal Protocol Treaty. The meeting is to start on November 1st and is expected to last most of the week. Mexico, Canada, and the United States submitted one earlier this year. The European Union formally submitted one this year as well. It’s important to remember that this is most of Europe. The big change this year is that of India, one of the biggest protestors of the HFC phase-out, submitted an amendment at the beginning of this summer. On top of India, China has also declared support for the HFC phase out. I wrote an article on the Indian amendment earlier this year and it can be found by clicking here. Will the Phase Out Amendment Pass? Western nations have been pushing for this phase out for the past few years and with each month that passes the resistance dissolves little by little. There were two big steps towards progress that happened earlier this year. The first being that India is now on board and had even submitted an amendment. The second being that China has agreed to phase out their HFCs as well. With these two behemoths out of the way it only leaves a few smaller countries resisting to the phase out. Miscellaneous smaller middle eastern countries. There were informal talks earlier this year in Paris. The hope was to hammer out the details and get any opposition out of the way then so when the time came for the November meeting there would not be any resistance. The middle eastern countries, including Saudi Arabia, I believe will bow to pressure at next month’s meeting. Saudi Arabia was already receiving significant pressure from the ‘United African Group,’ about their opposition. It is only a matter of time before they join everyone else. Once Saudi falls the other smaller middle eastern countries will follow suit. The country to look out for is Pakistan. During the July talks in Paris Pakistan outright blocked any further talks on an HFC amendment to the protocol. The reason they gave was that alternative refrigerants such as HFOs or natural refrigerants would not work as efficiently in their hotter environment. It seemed like a superficial complaint as many other countries with just as hot climates are on board with the phase out. The real question is will Pakistan continue it’s resistance during the November meetings, or will they bow to pressure and let he amendments pass? When the amendment passes, and it most likely will, it is important to keep in mind that the usage and production of HFC refrigerants will not instantly be shut off like a light switch going from on to off. The same staggered approach that was used for phasing out HCFCs will be used here as well. In fact the United State’s Environmental Protection Agency has already begun the phase-out of HFC refrigerants already. Early this summer the EPA announced that they would begin the phase out of R-134a in automotive applications and R-404A in vending machine and transported carrier applications. I wrote an article about this here. So, when the amendment passes know that it’s not the end of the world. Your government will adopt a staggered approach that will most likely be mapped out in this same November meeting. As of today there is nothing to panic or be alarmed about. 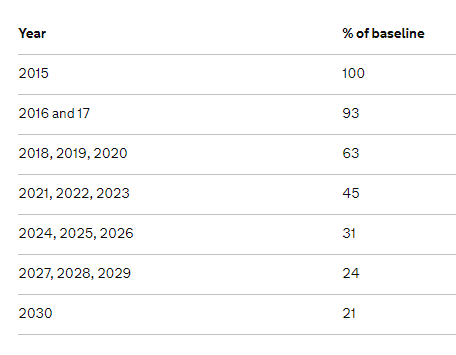 The end of HFCS is coming and the amendment will most likely pass next month but I do not predict any large price increases coming, at least not for quite a while. If I was a betting man I would bet that the R-404A will be the first price to significantly rise over the next few years. (It is scheduled to be phased out in 2017.) If you fast forward a few more years R-134a will start to climb as we approach the 2021 deadline. All in all, keep an eye out and your ear to the ground and you’ll be fine. Thanks for reading and if you enjoyed the article please take the time to subscribe to our newsletter or like us on Facebook. As everyone knows R-22 was phased out in 2010, production was scaled back in 2015, and it will be completely phased out in 2020. With these phase outs occurring over the past five years the price of R-22 Refrigerant has sky rocketed to right at about three hundred dollars for a thirty pound cylinder. With that high of a price point there is bound to be opportunity for profit. Well, a few refrigerant manufacturing/distributing companies started marketing an alternative to R-22 called R-22a. Now, it’s called R-22a, but what it really is R-290… or propane. You know, the stuff you use on your grill to light the FIRE for your burgers. Now propane as a refrigerant isn’t a new idea, in fact it’s being used in various applications outside of the United States. The Problem being these old units that take R-22 are not being retro-fitted to take R-290. The companies pushing this product are advertizing it as a direct replacement for R-22. No retrofitting needed. So, you can begin to see a problem here. The machine is not meant to take propane but yet we’re just dumping it in and hoping for the best. The appeal of R-22a is the price. I did a quick Google search and found some R22a being sold on E-bay for $119.00 a jug. Now that’s quite the difference compared to the $295-$330 a jug you would pay for a cylinder of R22. E-Bay shows you how many have been recently sold and I can see by glancing at it that there were fifty five units sold in recent weeks. This is disheartening as the consumer is not only purchasing the wrong refrigerant but they are also putting themselves in harms way. In case you were wondering, propane has a high flammability rate. Especially if it is being used in an improper application. It’s a recipe for disaster, especially for a laymen. I didn’t hear much about this in the news, so this must have been settled pretty quietly. Just last month Enviro-Safe refrigerants was fined $300,000 for violating the clean air act by selling non-approved hydrocarbons. (R-22a being one of them. ) I wrote about this last month as well and the article can be found here. Enviro-Safe claimed that they were in the right and did not violate any laws. Confused yet? To put it simply, R-290 or R-22a can be sold and used on NEW units, but if a company is caught actively selling/targeting the old R-22 units they would be in violation of the Clean Air Act and will have the wrath of the federal goverment coming down on them. Just ask Enviro-Safe refrigerants if you don’t believe me! I’m sure that most trained technicians and companies are not falling for the R-22a trap and jumping at the lower cost and potential savings. This article is mainly targeted towards the do it yourselfers who are looking to purchase refrigerant for a small job. Putting in R-22a in your R-22 unit can be costly. Not only with potential total loss of your unit but it could also cause property damage due to an unintended explosion or it could even cause bodily harm/death. Doesn’t seem like it’ worth saving a couple hundred bucks. I’m not a fan of big government. Never have been. But, I believe that the EPA is in the right here. I find it ridiculous that I can go on E-Bay right now and buy myself a cylinder of R-22a and have it at my doorstep in a couple days. You think the EPA would be watching for this online and be contacting E-Bay or the seller with a cease and desist. Maybe they are, and they are just building their case. Who knows. In the mean time keep your eye out and if you see R-22a being marketed stay far away. It’s not worth the safety risk or the EPA risk.